Award-winning original fiction for learners of English. At seven levels, from Starter to Advanced, this impressive selection of carefully graded readers offers exciting reading for every student's capabilities. Three stories to make you think, set in the near future, 100 years and 1500 years from now. The end of spam - a curse or a blessing? Are people robots? What happens to the last brain in the world? Paperback-only version. Also available with Audio CD including complete text recordings from the book. 1. Spam; 2. A flower for Lumus; 3. Zima's last dream. Modern, original fiction for learners of English. 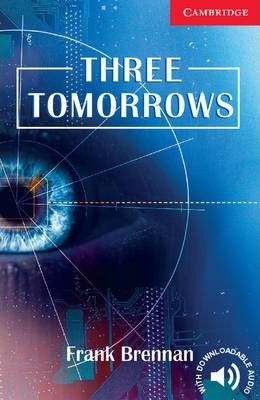 Three stories to make you think, set in the near future, 100 years and 1500 years from now. The end of spam - a curse or a blessing? Are people robots? What happens to the last brain in the world?